House hunting is exciting. Yet, it can also be exhausting. You’ve viewed home after home. It seems never-ending. So, you start considering it – you wonder if maybe building new is right for you. And it could be! Let’s weigh the pros and cons of buying a new home vs a used home. It can help make a decision that is right for you and your life. It’s all custom! You decide on the layout, countertops, number of rooms, and more. It’s all yours to decide. Where do you want the lighting or light switches? Do you want a finished attic or basement? Fresh paint? You’re the decision-maker here. You get new HVAC systems. The heating and cooling systems are all top of the line and brand new. You won’t run into problems or repairs with these anytime soon. Newer systems also offer more energy-efficient solutions. You may actually end up paying less for those monthly bills making this a huge advantage. You won’t have to do any repairs anytime soon. Everything is new. This means you won’t have to replace that roof or flooring (that you chose) in the next few years at least. New homes come with more safety features. Smoke and monoxide detectors are built into the home. It’s easy and you can rest assured that your family is safe. Building a new home will likely be more expensive. You may also have to deal with ongoing construction around your property for years to come. New homes are built in up and coming neighborhoods. They aren’t established yet and are still under construction. If you aren’t a morning person, the noise could potentially pose a problem. You may have to wait for your home to be constructed. This process can take around a year. If you need to move now, a new home might not be the right option for you. It’s already in an established neighborhood – meaning no construction noise or inconvenience. This also means shopping plazas or other amenities may also be set in stone close by. Better transit access. We’re talking about busing or highway access. Older homes were built first. They already connect close to transit lines, like busing or trains. Likely chances are that they are also close to main roads and highways. They are less expensive than new homes. You often won’t have to pay up as much for a resale home. Some come with older charm and unique characteristics – things that you often won’t see in brand new homes. Resale homes are move in ready! You won’t have to wait 6 months to a year for your home to be built. You are stuck with older and less energy efficient heating and cooling systems, and possibly, appliances. It may require renovations and repairs – particularly in the years to come. The roof could need replacing soon. You might be stuck with updating that kitchen. And if you don’t like the carpet or paint jobs, you will have to redo the job. Take the above points into consideration when looking for your next home! What works best for you and your family? About the author: Pros and Cons of Buying a New Home vs a Resale was written by David Hakimi who is a real estate agent in Erie, Colorado. His team is one of the top real estate teams at Berkshire Hathaway HomeServices Innovative Real Estate. 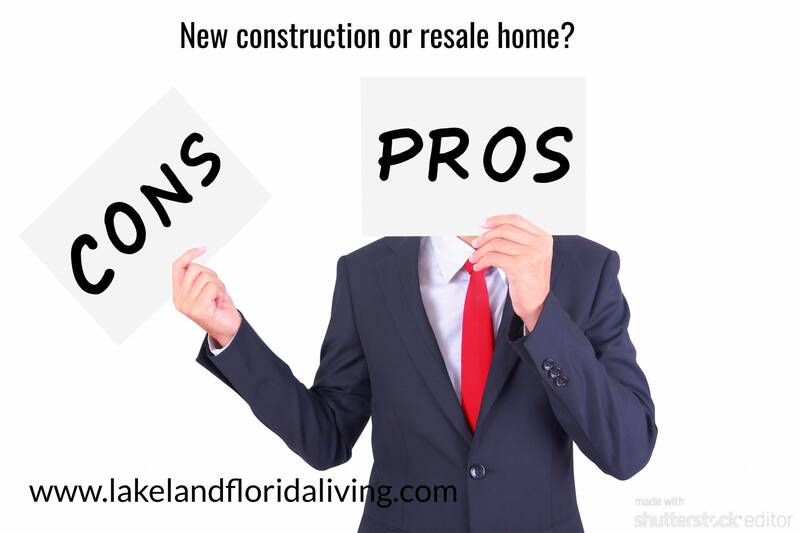 Are you thinking of buying a new construction or a resale? We have a passion for real estate and have the experience and recommendations to prove it.